If your reaction to the words “Computerized Sewing Machine” is something more like what you’d expect if I just yelled “Plague!!! !” …then this article is meant for you. What you need to do is calm yourself, open your mind, take a deep breath and be prepared to learn something new! Computerised sewing machines are here to stay and chances are you’ll be seeing more and more of them, so before the times completely run away with you…let’s get to grips with them. It’s not as daunting as you might expect and trust me, computerized sewing machines are around for a reason. Some of the nifty little things you can do are definitely worth the time time it takes for you to learn the ropes. Besides, the computerizing is, in essence, a time saving function so you will benefit in the long run! So why bother with a computerized sewing machine? Because, just like your MacBook allows you to create a professional looking printed portfolio with pictures, colorful headings and beautiful fonts…your computerized sewing machine will allow you to program a host of incredible decorative and utility stitches, as well as complex embroidery motifs which you never dreamed you’d be able to achieve. The majority of computerized sewing machines provide you with a wider range of stitches compared to non-computerized types. Furthermore, they might allow you to have multi-directional or multi-motion stitching, which means that the machine in fact sews not only forwards but also sideways and backwards to help sew wide, elaborate designs. With a decent machine you will be able to load hundreds of motifs or more, look at them in 3D and modify colors, sizing and stitches with just a touch. Your designs can be nicely stored in collections (we all love organizing our filing systems! ), you can see how long it will take the machine to embroider a design, you can see how many stitches you’ve sewn and how many must still be done. The embroidery function is opening up a whole new vista of choice, personalization, fun, detail and creativity in your sewing that just wasn’t possible before! Sensors are invaluable…to say the least. How many times might you faff around for a half hour quite unaware that you’re busy doing something that’s quite detrimental to your project or your machine. If you are running out of bobbin thread or top thread, a computerized sewing machine will send you an alert message visually on the touchscreen and/or an audible message to help remind you to remedy the condition right before you run out, seriously handy. The machine might also alert you in case you have an incompatibility between the presser foot and the stitch you've chosen. For instance, you can't use a straight stitch foot with a zigzag stitch or you'll crack the needle. Also, it might inform you when the embroidery design you've picked isn't going to fit in the hoop you've got installed on the machine. What an awesome feature…mirror imaging left/right and up/down means that you needn’t worry about a design or stitch which is the wrong way around, the machine will sort this all out for you with the mirror imaging function. This is useful when creating large design pieces and repeating motifs. For quilters, this is a super handy feature. High end machines offer a computer operated stitch regulator so that all of your stitches will likely be a similar size, even as you move the material around the machine bed and regardless of the speed or direction. No tiny and huge stitches mixed up within the same quilting style. A computerized sewing machine will likely enable you to adjust the needle position from the middle to the left or the right, typically in very tiny increments. This enables ever-so-slight changes in seam allowance width or topstitching areas. The computer also enables you to set whether or not the needle stops up or down (or neither) whenever you stop stitching. This attribute is handy for pivoting at corners, modifying the fabric spot, or chain piecing. The majority of computerized sewing machines possess automatic tension adjustment, based on the kind of fabric along with the thickness. On-board ‘advisors' show proper needle sizing, thread type and any special presser feet required for the selected fabric/stitch, together with adjusting the tension or perhaps the presser foot pressure. Many computerized sewing machines interface with your house computer and the Internet to enable you to download new stitches or up-to-date programs from the manufacturer; some connect straight via a USB port, others make use of a jump drive, CD or card reader for this specific purpose. 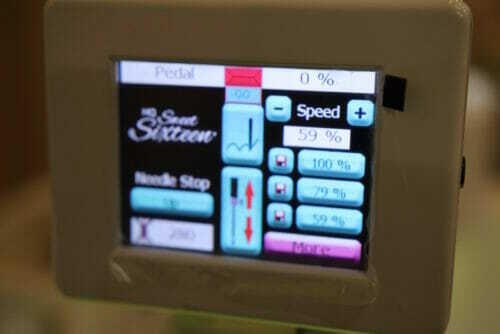 You can even download embroidery models in the proper format to enable the machine to read it. Some sewing machines have their personal mouse, just like the PC, so that you can navigate the screen. It's recommended that you keep your machine close to your computer or Internet access to take advantage of these features. Think of the display screen like your PC monitor. The screen should have a look you're comfortable with and be bright enough to see clearly in daylight. Don't worry, you'll get used to the smaller size. On quite a few models, you can also adjust the image dimensions for better viewing, as well as the display brightness and contrast. 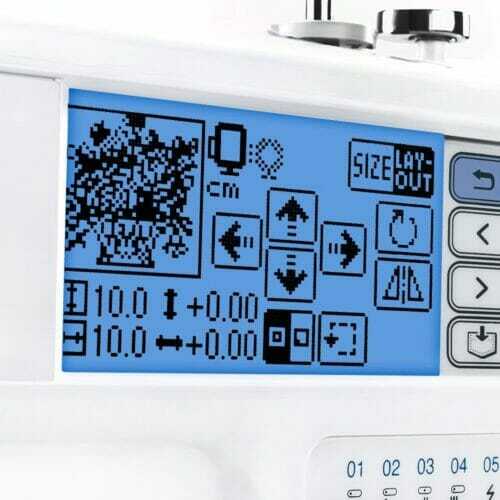 Numerous things are shown on the LCD display screen, which range from full-size decorative and utility stitches to vibrant embroidery motifs and precise stitch adjustments. The monitor might function as a touch enabled screen which will let you make changes to the settings using your fingertips or with a stylus. On interactive displays, you will often move stitches around to various other areas by dragging them across the screen and letting go… i.e. : drag and drop. There could be several menus available on your touchscreen display, so that you can find the stitch function you would like, i.e. appliqué or scallop, after that look for the perfect stitch. 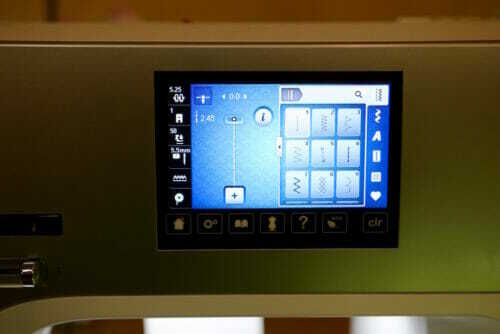 You may be able to access the entire manual of the sewing machine via the embedded touch screen. This makes it easy to look into settings you are not sure of, or to answer function and feature queries. Several displays even provide a display screen saver. Several machines incorporate a clock so that you can monitor the amount of hours you have been sewing, or just how long a specific task takes to complete. The computer memory enables you to save your personal stitches for easy recall, it also allows you to save customized stitches. For instance, it's possible to create a mixture of built-in stitches that you want, save them to the memory space and stitch all of them out whenever you want, in the exact way these were saved. Unless you delete them, they will always be there for you to retrieve and use again. Due to the complexity of computerized sewing machines, it's critical to have them maintained by brand-authorized technicians. These service representatives undergo extensive technical training on both the mechanical and computer parts of the machine. These technicians will have access to the latest software and upgrades that will keep your machine running well. Of course, always be sure to check the credentials of the technician before you leave your beloved new machine in the hands of an ‘expert'. They should have a training certificate issued by the brand. If you already have a computerized sewing machine, please share your thoughts about it with everyone in the comments below and happy computing…I mean sewing..! 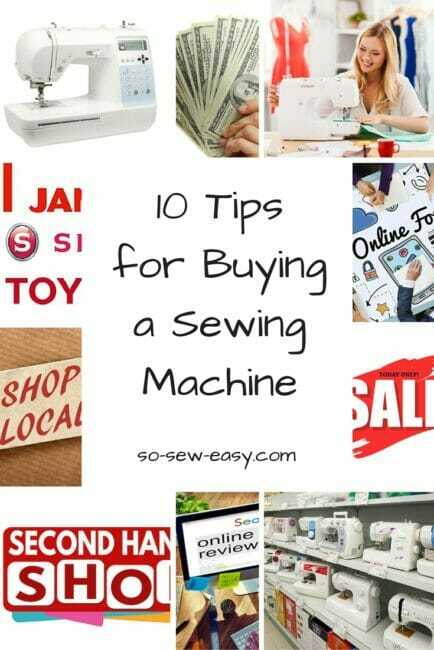 You can learn more about general tips on buying a sewing machine by clicking HERE. Computerized sewing machine is much better than manual machines because of its accuracy and controlling. sometimes its tough to control for the user. But it does the job more efficiently than the manual one. we can save our designs, arts etc to the storage and use it for further job. I have a brother sewing and embroidery machine. I know when I looked at the time, it was about half the cost of the import brands. I absolutely love it and haven’t had issues. I’ve only had to replace one part in 8 years: the foot pedal. The dealer said this is unusual. Apparently, most people do more embroidery than sewing. I do love my dealer. He is very knowledgeable and offered free help when I bought the machine. I never used it as he was far away from my home and I have too many kids to step away. He didn’t do official classes, but always has machines set up to help out. I bought the design software to go with it and don’t really use it except to do minor adjustments to patterns bought online. I think if the software were easier to use, I would have used it more. There are plenty of patterns online to work with. My machine came with a card reader and a USB port. Without the USB, it would be outdated. 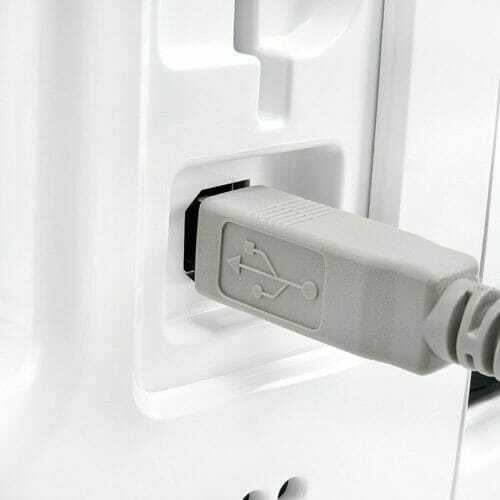 Because of the USB, it should work for years to come. My biggest complaint: my dealer is so good that many of the other dealers in the area have gone out of business. Sometimes, there is a long wait to get my machine serviced. Luckily, I have only had to do a tune-up now and again to make sure it stays in top shape. I have never looked back after buying a computerized machine. If you buy the right one, you will be happy. 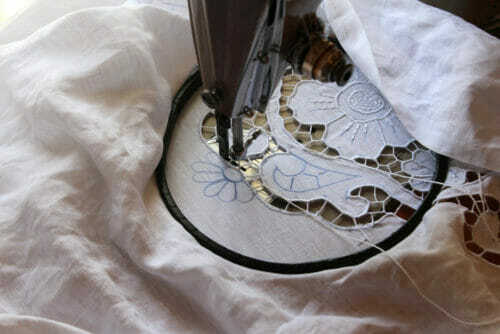 Just know going in, that if you are going to embroider, there are costs involved, just like any new hobby. Your comment is reassuring, Rachel. I hope my story proceeds on a similar path to yours. So far, I am loving the computerized straight stitch that makes all my seams the right width with minimal effort on my part. I have bought some nice Anita Goodesign embroidery patterns on sale, but haven’t used them yet. Still in the honeymoon stage with my Quattro I would say. My dealer relationship is remarkably similar to yours. Excellent article. I’ve always wanted to hear the pros and cons of the new computerized machines. The motherboard breaking and having to depend on expensive repair fees is enough to steer me away from them. Well, Marlene just mentioned that motherboards can and probably do go bad. Let me correct that by omitting the word probably. I have a machine with a motherboard that hasn’t gone out but does need replacing because I’ve been told it WILL go out. Unfortunately I was also told that this particular motherboard is no longer being made, not surprising considering American business love of planned obsolescence. I have several vintage singers, made before singer went downhill, and they are wonderful. If you ever get a chance, take a gander at a really OLD Singer book about the ART of sewing. I can’t remember the exact title, but the book is blue and it has the most spectacular work done on old, old machines that probably had no more than a straight stitch and maybe a zig zag. I will never reach that skill level with my vintage machines or my Bernina 830 but it makes me wonder if I need all those bells and whistles. And when my grandchildren sew it probably won’t be with their beloved grandmothers incredibly overpriced machine because the motherboard probably will be dead with no replacement available. The machines are wonderful for the convenience but the same quality of sewing can be accomplished on an archaic machine with some practice and perseverance. Okay, with tons of practice and perseverance. Lol! planned for obsolescence so true! I am searching high and low for an old Singer and personally would love a Bernina. I agree with Marlene……I have an older high end computerized sewing/embroidery machine that Husqvarna no longer supports as it has been replaced by newer models. I can no longer create newer embroidery with it due to the reader/writer box now being outdated and not compatible with newer editing software in many cases. Also they do not make the cards that are used with the reader/writer any longer. I am limited to patterns within the machine and whatever embroidery cards I currently have. Also as pointed out by Marlene I can only either embroider or use it a sewing machine – I would need to do a “set up” and “take down” of the embroidery unit each time to switch between. The hidden costs are never ending…..this is not a money saving endeavour by any means. An expensive hobby for most. If you are thinking of doing embroidery as a home business you are much better off investing in a stand alone embroidery machine…..don’t let a retailer talk you into anything otherwise. Thanks for the info! I wish I had read it before I bought my Brothers Quattro III, but I think I got lucky, as my machine has most of the features mentioned, I think. It will take me years to explore all of its options. I am still not clear on how to get designs from my iMac to my Quattro, but the dealer website has a huge FAQ section that I need to explore yet. So many sewing options, so little time! I wake up each day excited about the endless horizons ahead of me! You are welcome! It is such a pleasure to know you love your work! The first thing I realized after buying my top of line sewing/embroidery machine was that I was no longer the one in charge! If anything went wrong, even getting a piece of thread stuck in the threading channel, I had to take it to the dealer to get it removed. That could cost $100. Then, there are other built in costs I hadn’t anticipated. A big one is, like any software driven appliance, it quickly goes out of date and there is a shelf life. I received $2000 worth of design/editing software that no longer works because the vendor decided not to write drivers to support the newest computers. At a minimum it will cost $300 to upgrade the embroidery software. Also, motherboards can (and probably will go bad) and need to be replaced. COSTLY.! The dealer where you purchase your machine moves on to selling and supporting the latest machine. It is unlikely after 3 years, you will be able to get hands on training for the machine you purchased. There are a LOT of hidden costs: feet that don’t come with the machine, hoops that don’t come with the machine or are easier to use than the ones you get, cost and variety of stabilizer, cost and variety of thread, cost of designs and additional software, trial and error, classes, accessories, etc. None of these came with the mechanical machine I had for nearly 40 years and made (pretty) stitches with cams!! 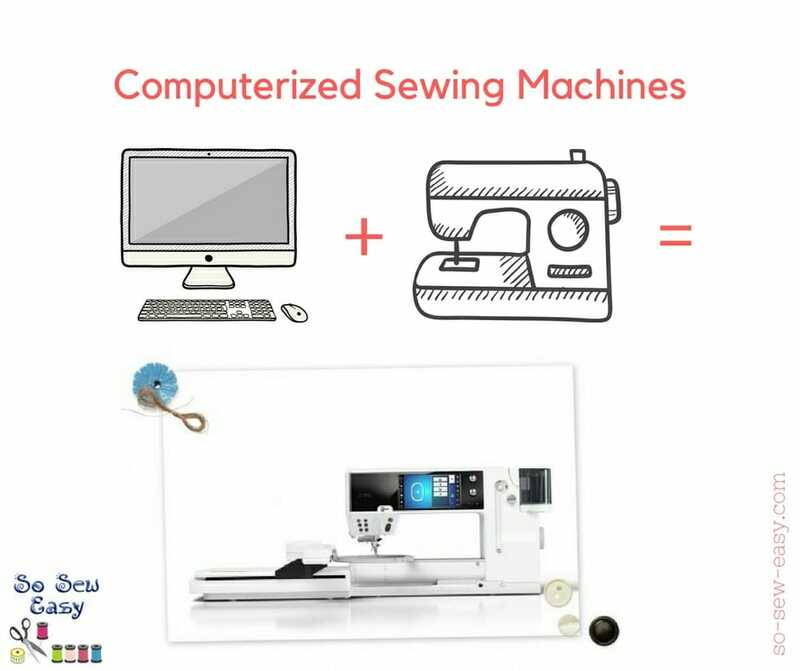 I chose the make and model for two reasons: it had the biggest display screen on the machine and you could use it as a sewing machine without removing the embroidery arm. Both of those reasons are no longer valid. I can use my iPad for the screen (thread color/and changing was my issue) and I can sew with the embroidery arm, but it’s not worth the effort. I love being able to embroidery on my machine. I also love that the sewing machine is heirloom quality. If I had it to do over, I would buy two separate machines: a standalone machine that only embroiders and an heirloom quality sewing machine. Thanks, Marlene. Now I REALLY wish I had read this before I bought my machine. I had actually purchases two separate Janome machines, a top of the line sewing machine and a good embroidery machine, but changed my mind when I went to pick them up and saw the Brothers Quattro 3 on display. It was a little more than the other two combined, but seemed to have many more features. Since I never really had a chance to try the other two, I guess I will never know. But I do know the Quattro has done whatever it was supposed to, as long as I take the time to read the directions. Guess I can’t ask for more than that. Thank you Marlene, for taking the time to comment, I personally do not own an embroidery machine, so I was looking around for one that can embroider in leather since I am obsessed with the material lately. Your information has helped me rethink my options.